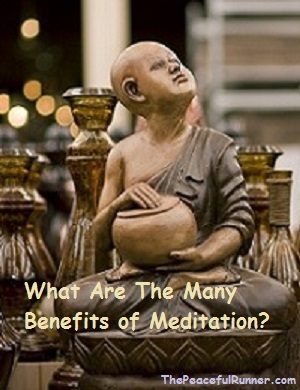 What are the many benefits of meditation? There are many benefits of meditation and if you are already an avid meditator, then this article probably isn't for you. But for those who have heard of the art of meditation, read on to find out a little bit more about the benefits of meditation. Many researchers have found that it can help you live a lower-stress and healthier life. In a recent article by Dr. Kelly McGonigal, Ph.D., she explains how meditation can alter pain and relieve depression. 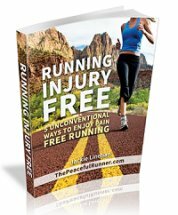 Using a personal experience, Dr. McGonigal tested two different reactions to pain when she injured an ankle. First, she allowed her mind to think all the bitter feelings she wanted about the pain she was feeling: “I'm such a klutz” or “When is this going to stop hurting?” Then, she put her meditation training into practice. She used the well-known method of “mindfulness,” which I'll explain in more detail in the next paragraph. The difference for her was acute. The more she practiced the “mindfulness,” the more she could tolerate the pain. Whereas when she allowed her mind to freely complain about the issue, the pain didn't seem to abate or change at all. “Mindfulness” actually started as a Buddhist tradition. In the 1970s it was evolved slightly by psychologists to help patients with a variety of mental illnesses. It involves seeing things as they really are in the moment. When you are mindful, you separate yourself from the experience and look only at the moment by moment happenings as if you were an outsider. Another important factor is that you don't judge what you are seeing as good or bad, but just see it as it is. To practice mindfulness, you pay attention to every thought and feeling you are having in that moment and don't concentrate on further implications of the experience beyond the here and now. There are many different forms that meditation and mindfulness can take. The most common form is taking up a meditation position. There are many so we won't go into them now, but they usually involve sitting in a classic Buddha-like position. You also want to find a peaceful environment where outside influences cannot intrude. 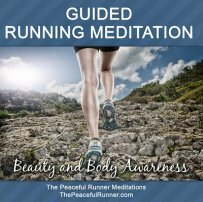 However, some people find that a different version of meditation, such as exercise, is more conducive to mindfulness. Swimming, walking, jogging, bike riding, or any other form of exercise are also great ways to help your brain focus on the here and now and embrace it, free of judgment. Whichever form you choose really depends on your personal preference. Try out several until you find what works best to help you free your mind and step back from an issue or problem that is causing you stress. There are many benefits of meditation. Science has proven that it can be good not only for people with several mental disorders, but for those of us who experience stress. So basically, everyone could receive positive results from meditation since we all feel stress. 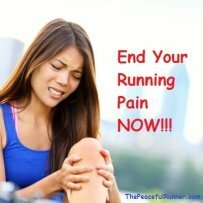 Give it a try and see if you feel healthier, and are able to better control pain, both physical and mental. Natalie Clive is a writer for MyCollegesandCareers.com. My Colleges and Careers provides online tools to help prospective students find online schools and degree programs that will help them complete their education and start a successful career.